Tomorrow is February 1, and I'm delighted to announce that Alex Vratsanos is the new Litzer of the Month! Alex is not only a prolific and exceptionally accurate litzer but also a young constructor who published his first puzzle in The New York Times on the day he graduated from high school! To read more about Alex, click here or on the Litzer of the Month tab above. It's been another busy litzing week, starting off on Saturday morning with 10 proofread puzzles from Todd Gross. That afternoon, Alex Vratsanos sent in 7 more puzzles, which were followed by 7 from Mike Buckley that evening. Sunday morning, Jeffrey Krasnick sent in 7 puzzles, which were followed a few hours later by 7 more from Lynn Feigenbaum, and then 7 more from Jeffrey (two batches in one day!) that evening. Monday afternoon, Alex sent 7 more puzzles. I woke up Tuesday morning to find 7 more puzzles from Lynn, 7 more from Jeffrey, and 7 from Barry Haldiman—a great start to the day! That afternoon, Todd sent in 10 more proofread puzzles. Wednesday night, Tracy Bennett sent in 31 more proofread puzzles. Early Thursday morning, Jeffrey sent 7 more puzzles, then a few hours later, Lynn sent in 7 more. Very early this morning, Todd sent 9 more proofread puzzles, which were followed by 7 litzed puzzles from Lynn this afternoon and 7 from Vic Fleming just a few minutes ago. And this week, Howard Barkin sent in 14 puzzles. We're now over 14,900—14,961, to be exact! Thanks so much again, everybody! I've been thinking about running another litzing contest, since we're so close to the end. We're actually closer than the thermometer indicates, because between the newspaper strikes and ProQuest problems, quite a few puzzles are missing. The thing is, we're going to be entering the Sunday-only period soon—that means the puzzles will be big (often 23x) and will take longer to litz. We could try to shoot for finishing by March 7, the start of the ACPT, but that would be a very tough goal, and I know some of you will be busy training for the tournament. What do you think? If you have an opinion, use the poll gadget at the top of the righthand column to cast your vote! You can also e-mail me or leave comments below. 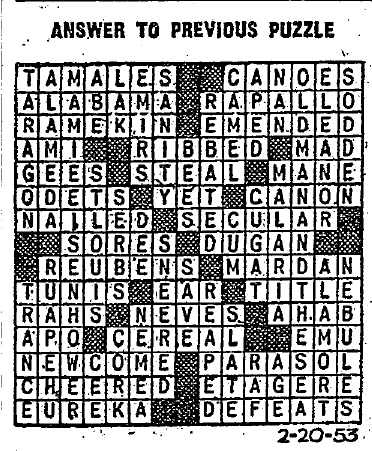 Pre-Shortzian New York Times crosswords are notorious for having very few (if any) references to contemporary pop culture. In fact, one critic of Maleska went so far as to state that the most recent reference Maleska used in a crossword during his 1977–1993 editorship was Rosie the Riveter! Contrary to this stereotype, I've seen many clues in pre-Shortzian puzzles that were quite fresh at the time. 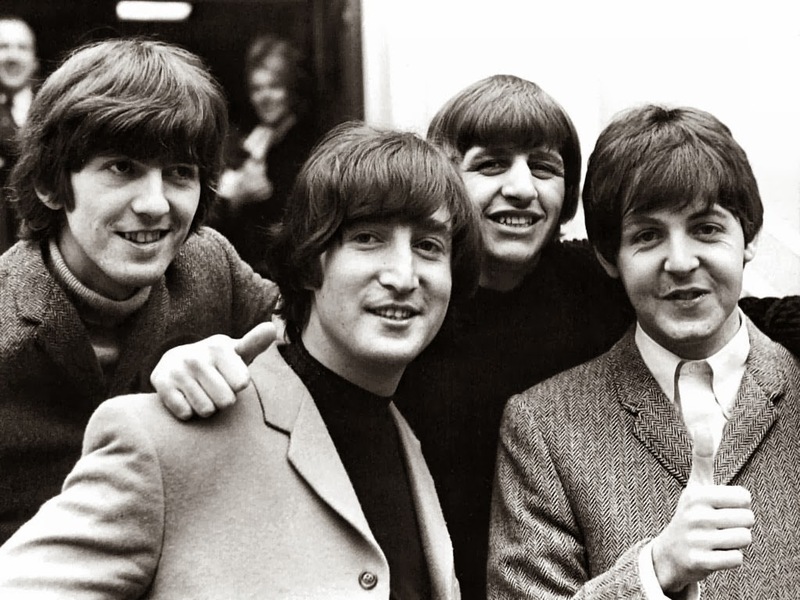 Here are seven clues that date back to the Beatles' earliest years of fame in the United States, all of which come from puzzles litzed by Mark Diehl (and most of whose constructors are unknown). These 1964 and 1965 clues were definitely contemporary! Clue: Not descriptive of the Beatles. Clue: The Beatles, Supremes, et al.